Knowing your child has celiac, especially this time of year, can feel overwhelming. As your child waits for the Easter Bunny to bring a basket of goodies, you may feel hesitant because you have to be careful with gluten and cross-contamination. Luckily, there are several options to create a perfect gluten-free Easter basket for your child. Regardless of celiac, you likely won’t want your child to get hopped up on sugary chocolate bars anyway. 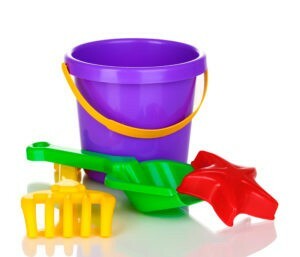 As you create an Easter basket, consider small toys or something your child has asked for recently. For example, yo-yos are a popular Easter item. Other great toys include bubbles, sand toys, miniature cars, watercolor paints, Mad Libs or alphabet magnets for younger children. If your child is older, you could add an iTunes gift card, video game or books. If your child is not a big candy or chocolate fan, you can still make a special themed Easter basket. The possibilities are endless, from superheroes to popular Disney, Nickelodeon or storybook characters. 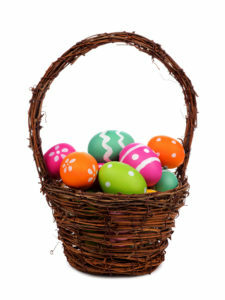 Fill the Easter basket with small toys and decorations that fit the theme. If your child is older and not really into fictional characters anymore, put together a movie night Easter basket with movie passes or a Blu-ray for your whole family to watch. 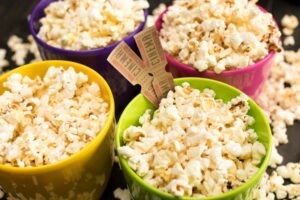 Throw in some PJs and popcorn for some extra fun! Although some brands, such as Mars, offer gluten-free choices, all of their items aren’t gluten free. For example, only the plain M&M’s are gluten free, and it’s crucial to avoid the pretzel M&M’s because they contain wheat. Hershey’s specifically lists barley malt, wheat or rye on ingredient lists to indicate when the item is not safe. Finally, stay away from premade Easter baskets. You can’t be 100 percent sure there is no gluten-filled candy in the basket, unless you order a specifically gluten-free Easter basket from a trusted source. Crafty parents can even make some of the items for the basket. Knowing the ingredients that go into items such as play dough allows you to stress less and know your child isn’t in danger of cross-contamination with gluten. Combine the ingredients and mix together. Stir on low heat for 3 minutes or until the ingredients form a ball. Make sure to let it completely cool before storing in a sealable bag.